There are fundamentally two ways that a child (under the age of 18) can automatically become a U.S. citizen at birth. It’s common knowledge that a child born on United States soil automatically becomes a U.S. citizen. 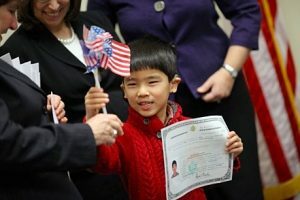 But a child born outside of the United States can also acquire U.S. citizenship at birth through a U.S. citizen parent. This is known as acquisition of citizenship for children. A child born outside of the United States generally becomes a U.S. citizenship at birth if that child has at least one parent who is a U.S. citizen, and the U.S. citizen parent meets certain residence or physical presence requirements in the United States prior to the person’s birth. For purposes of this article, the United States includes the 50 states and the territories of the Commonwealth of the Northern Mariana Islands, Guam, Puerto Rico and the Virgin Islands. 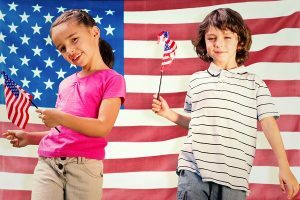 If a child does not automatically become a United States citizen at birth, he or she may still become a citizen before age 18 on the basis of his or her parent’s citizenship. The parent may be a citizen by birth or by naturalization. Learn more in Derivation of U.S. Citizenship for Children. The laws for acquisition of citizenship at birth have changed often over the years. Congress made changes in 1934, 1940, 1952, 1978, 1986 and 1994. Therefore, determining when a child was born and which law for acquisition of citizenship was in effect at that time is very important. This is an extremely complicated area of immigration law, and this article provides general guidelines. Consult with an experienced immigration attorney before determining if these laws apply to your situation. At least one parent must have resided in the United States at any time before the child’s birth. The U.S. citizen parent must have been physically present in the United States for a continuous period of at least one year before the child’s birth. The U.S. citizen parent must have been physically present in the United States for at least 5 years, including at least 2 years after 14 years of age. Time abroad counts as physical presence in the United States if the time abroad was as a member of the U.S. armed forces in honorable status; under the employment of the U.S. government or other qualifying organizations; or as a dependent unmarried son or daughter of such persons. The U.S. citizen mother must have been physically present in the United States for one continuous year before the child’s birth. The paternity of the child is established by adjudication of a competent court. Additional details and actual law can be reviewed at INA 301 and INA 309. For children born before November 14, 1986, the above laws may vary. Be a lawful permanent resident of the United States. If the adoption is finalized abroad, the child will be issued an IR-3 visa and will automatically acquire U.S. citizenship on the day he or she enters the United States. Children entering the U.S. on an IR-3 visa will receive a Certificate of Citizenship within 45 days of entering the U.S. 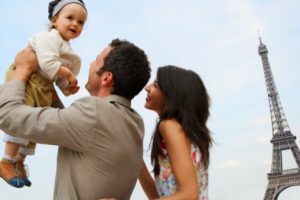 If the adoption is not finalized abroad, the child will be issued an IR-4 visa, and will be required to undergo a “readoption” process once he or she arrives in the United States. The child will acquire U.S. citizenship on the date of readoption. The Child Citizenship Act is not a retroactive law. Therefore, a child that was born abroad and adopted by an American parent and was 18 years old or older on February 27, 2001, is not covered by the law. These individuals must apply for U.S. citizenship through naturalization using Form N-400, Application for Naturalization. Examples of acceptable documents include a birth certificate issued by a foreign government. If a parent isn’t listed on the birth certificate, documents such as medical records, baptismal certificate, school records, blood tests, and affidavits can demonstrate a relationship. Examples of acceptable documents include: Evidence: birth certificate, naturalization certificate, certificate of citizenship or a U.S. passport. Examples of acceptable documents include a marriage certificate. Examples of acceptable documents include: USCIS immigration records, employer records, military records, school records, Social Security earnings, court records, Census Bureau records, and affidavits. Before contacting an immigration attorney, do you best to gather the information. You can save time and money by doing some of the research yourself. To get these documents, you will need to prove that you meet the legal requirements that were in effect the year you were born. An immigration lawyer or accredited representative can help you identify the most appropriate evidence for your case and help you get it. It can be very helpful for a child to have proof of his or her status as a U.S. citizen. Most people request a Certificate of Citizenship, but it isn’t required. To apply for a certificate, file Form N-600, Application for Certificate of Citizenship. If the applicant is a child under the age of 18, the child’s U.S. citizen parent or legal guardian must submit the application. Department of State Form FS-240 (Consular Report of Birth Abroad of a U.S. Citizen) What is a Consular Report of Birth Abroad? Designed by attorneys, CitizenPath is the online service that makes immigration forms simple. The website provides simple, step-by-step guidance through USCIS applications and petitions. The low-cost service helps to simplify the process by explaining each question and providing alerts if your answer to a question could be a problem. Most people do not need a lawyer to prepare USCIS forms, but many need a little assistance. That’s where CitizenPath can help. CitizenPath also guarantees that USCIS will accept your application. CitizenPath provides support for the Citizenship Application (Form N-400), Green Card Replacement (Form I-90), and several other popular forms.